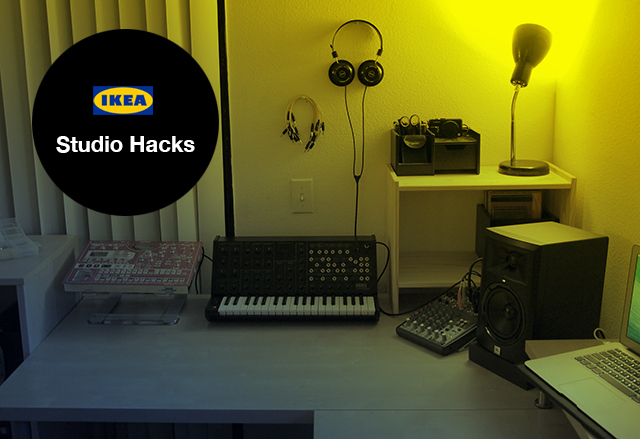 In this article on building a creative workspace we offer some hacking tips and affordable IKEA kits that can help you build a music studio on a budget. It could be argued that the most important part of your studio is comfort. If you are uncomfortable when you begin the creative process, it’s likely that you won’t spend as much time in that space that you otherwise might have. For this reason we highly recommend putting some time and money into a studio workspace that makes you feel like working. (For more on this subject, check out Stephen King’s On Writing where he describes the importance of workspace for creative productivity). Having said that, we can’t all afford a three hundred dollar studio desk with all the trimmings. So in this article we will look at some low cost, mostly Ikea alternatives that will have your studio up and running on a budget. First you’ll most likely need a desk. And you really can’t beat the LINNMON (desktop) and ADILS (legs) combination. We’ve used two of these desks in the top photo to create a larger, L-shaped workspace. 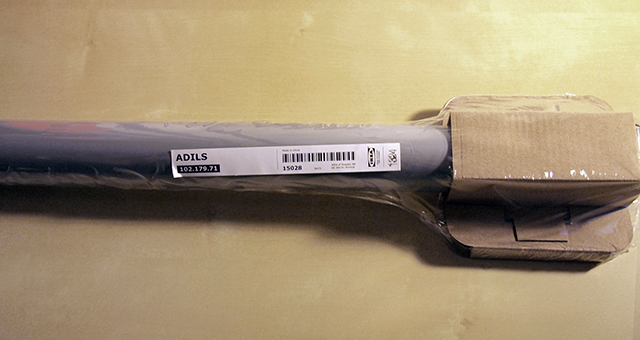 The ADILS legs also have adjustable feet to compensate for un-even floors. One of the best additions to any studio is a rack system for your gear. 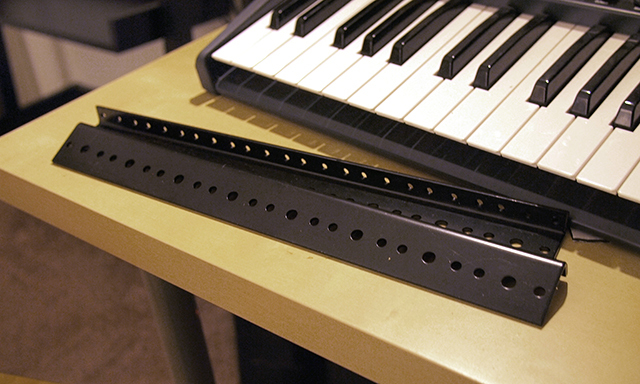 Studio racks can be expensive but thanks to some clever people online, we found an inexpensive and attractive solution. With one Ikea Rast Nightstand kit and one set of 6 space rack rails, you can build an inexpensive rack in minutes. For detailed information on the build, head to the Ikeahackers website for a complete breakdown. Rast Nightstand – $15 - You can find the Rast Nightstand at your local Ikea or online for $15. Raxxess 8 Space Rack Rails – $11 - Available at Amazon, Guitar Center, and other music shops. 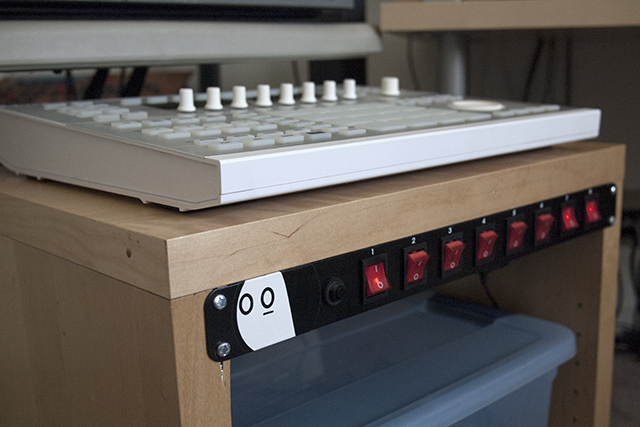 An even less expensive way to build a studio rack is with the IKEA LACK tables. You can find the lack for as low as $8 and it’s sized almost perfectly for audio gear. In the above photo you can see I’ve drilled a power strip directly into a $29 LACK side table. The results work fine for my purposes, but notice the crack on the left side of the LACK. I would not suggest drilling anything heavy into this unit as it doesn’t look like it would hold up under pressure. For more information on this hack, check out lackrack.org. 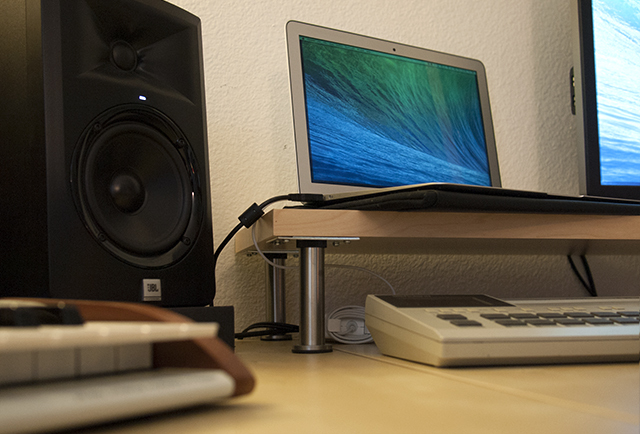 IKEA CAPITA shelf legs are an invaluable tools for a cluttered workspace. These small risers bolt to just about anything made of wood and make for great speaker stands, computer monitor / laptop stands, or just a shelf to lift some of your gear up to a good height. They also provide a nice place to jam all your cables so that they are out of sight. 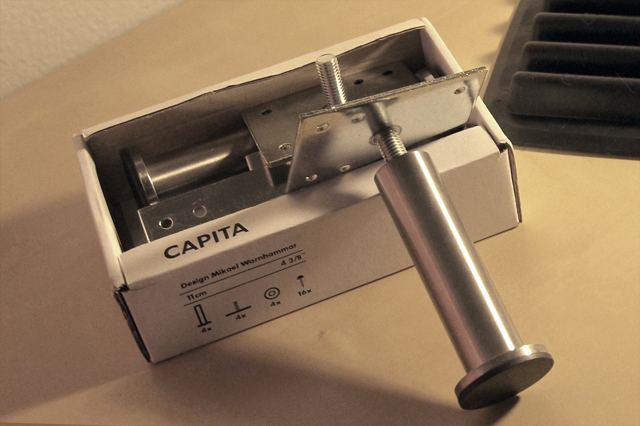 CAPITA shelf legs come in three different heights (four, six, and eight inches). They come with all the parts you’ll need (besides a screwdriver and a slab of wood) and they are available at Ikea retail stores and online. 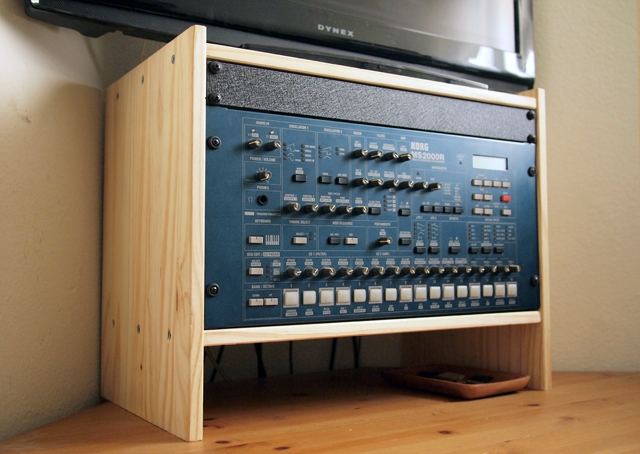 IKEA STOLMEN shelves are the widely used by synth enthusiasts worldwide because of their ability to stack synthesizers and other gear in a vertical space. The shoe racks in particular are so popular that IKEA featured them in a studio special of their own last year (see above “Harry Love’s Records” video). You can also find some great hacks with this system to create CDJ shelves and DJ furniture on ikeahackers.net. 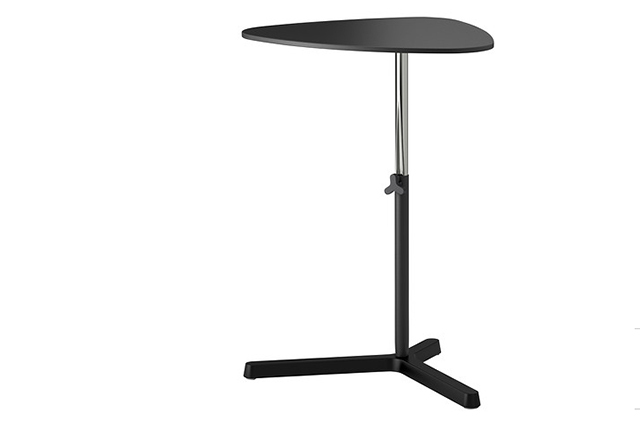 The Ikea SVARTÅSEN is a new item at Ikea and therefore we haven’t put it to use yet in the studio. But for $22, this looks like a fantastic Maschine, mixer, or MPC stand in addition to the recommended laptop use. 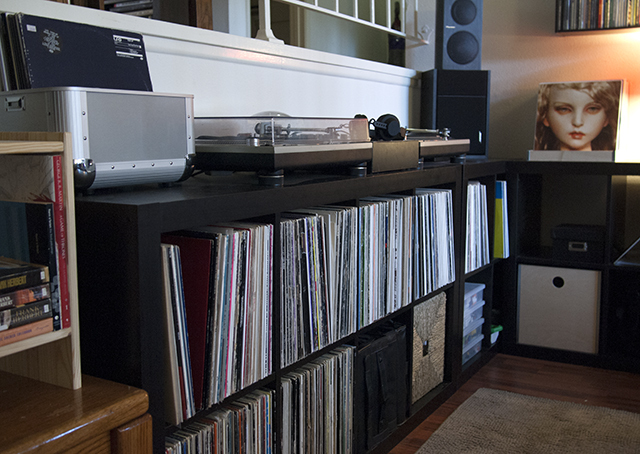 One of the most loved pieces of IKEA furniture amongst DJs and vinyl enthusiasts are the EXPEDIT shelves. They come in a variety of sizes and colors, all of them perfectly supporting 12″ records and DJ equipment. But IKEA has recently announced that they will stop production of the EXPEDIT system sometime in the near future. This will be replaced with the new KALLAX shelving system which looks to be about the same size shelves but with one half the thickness of EXPEDIT furniture. You can still find EXPEDIT shelves at U.S. IKEA stores, but it won’t be long until they really are RARE / OOP.